The Wimpy Kid is back! 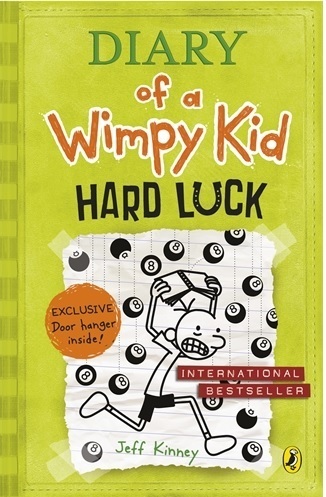 In the most hotly-anticipated children's book release of the year, the hilarious, globally-bestselling and award-winning Diary of a Wimpy Kid series, sees BOOK 8 hit our shelves this November! Greg Heffley's on a losing streak. His best friend, Rowley Jefferson, has ditched him, and finding new friends in middle school is proving to be a tough task. To change his fortunes, Greg decides to take a leap of faith and turn his decisions over to chance. Will a roll of the dice turn things around, or is Greg's life destined to be just another hard- luck story? Perfect for readers of 8+ and also reluctant readers.